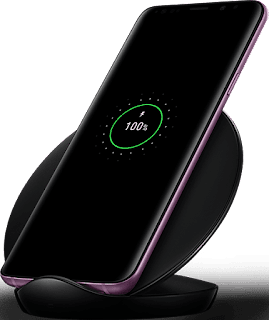 Samsung's latest flagships which are the Galaxy S9 and the Galaxy S9+ were both launched a couple of weeks ago and it's already available for pre-order in almost all countries including Nigeria. MTN, which is one of Nigeria's leading mobile operator is offering the Galaxy S9 series for its subscribers with lots of mouth watering offers. If you pre-order the Galaxy S9/S9+ via MTN, you will be rewarded with 2GB of data instantly as well as 100% Bonus on every data bundle purchased for the next 6 Months. You also have the option to finance the phone with Diamond bank monthly for 6 Months and the device will come with 2 years warranty as well as a free wireless charger stand and Free MTN SIM CARD. If you pre-order the new Samsung Galaxy S9 or S9+ through MTN, below is the list of things you stand to gain. >> Open your browser and go to https://mtnonline.com/samsungS9. >> The Samsung Galaxy S9 is available for sale at N285,000 while the S9+ goes for N320,000.